Tops: 10 Best [Animated] Supporting Disney Characters – BOBBY JAMES. Welcome to Tops! Wildly popular on As Seen By (2011-2013), Tops is a feature highlighting the “10 Best” [insert topic] in television or movies! Lists like the Top 10 Animated “Awww” Moments or Ten 21st Century Documentary Films The May Make You Want to Occupy a Street are among the most popular ever written for As Seen By. Now, I’m bringing the Tops feature to Bobby’s World and I’m launching with the “10 Best [Animated] Supporting Disney Characters!” Enjoy. The countdown begins with the most adorable little chameleon ever. 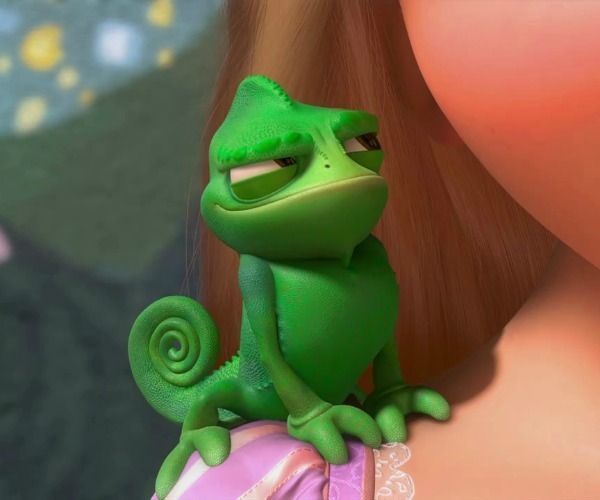 Pascal is a fun, good-natured little guy who’s very protective of Rapunzel, his sole companion. When Flynn Rider comes along, Pascal is none too happy and spends a number of moments standing off against the wanted hero. And who could forget the two times he mischievously throws his tongue into Flynn’s ear – or his adorable squeaks – or cute little facial expressions? Pascal stands by his friend through it all and even has quite the adventure retrieving the wedding rings near the end of the movie. 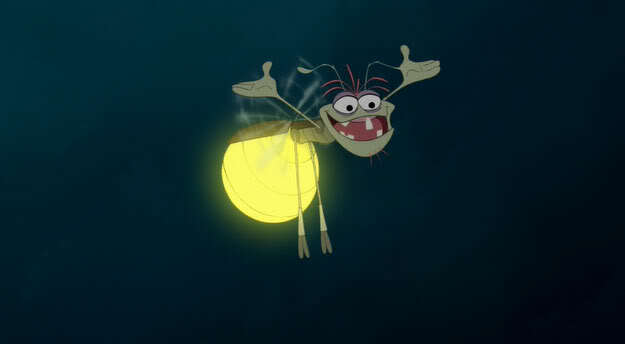 He’s crafty and fun, and one of the best parts of Tangled. Favorite Moment: Every single interaction with Flynn Rider! Duh! Octavius … or rather, Gus Gus, had to make the list. He’s the funniest little fat mouse ever! 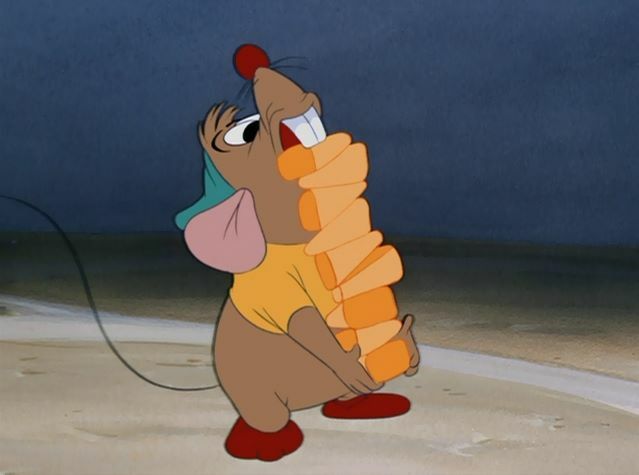 Whether he’s acting tough by threatening Lady Tremaine or her evil cat Lucifer, or trying to pick up almost a dozen kernels of corn, Gus provides a lot of comedy for Cinderella. Rescued from a mousetrap, Gus becomes attached to and very protective of Cinderella. He’s her tiny little aloof knight in a mustard tee – and for that, and his adorable laugh, he earns a sweet spot on the list. Favorite Moment: When he’s competing with the “cluck-clucks” for corn kernels and keeps losing them! Hyenas…in the Pride Lands! 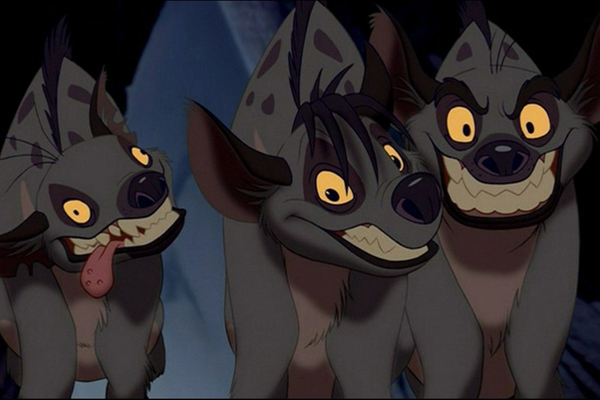 At number eight, Shenzi (Whoopi Goldberg, center), Banzai (Cheech Martin, right), and Ed (Jim Cummings, left) are the only trio featured on the list. Notable not only for their comedic moments, the Scar sidekicks are a dangerous pack that aid in Scar’s takeover of Pride Rock, Mufasa’s death and Simba’s exile. As a unit, they’re deadly and individually, their traits make them devious yet joyfully memorable. Favorite Moment: The “Mufasa, Mufasa, Mufasa” scene. Like the circle of life, Rafiki begins and ends the story of The Lion King hoisting a cub into the air from atop Pride Rock. A friend to Mufasa, Rafiki (whose name means “friend” in Swahili) serves as an advisor to Simba, as he grapples with his destiny as “the one true king.” An inhabitant of an old baobab tree, Rafiki is wise, mysterious and a tad bit eccentric (Simba even refers to him as a “creepy little monkey”) – but his lessons are invaluable to Simba, who learns quickly from the loveable mandrill. 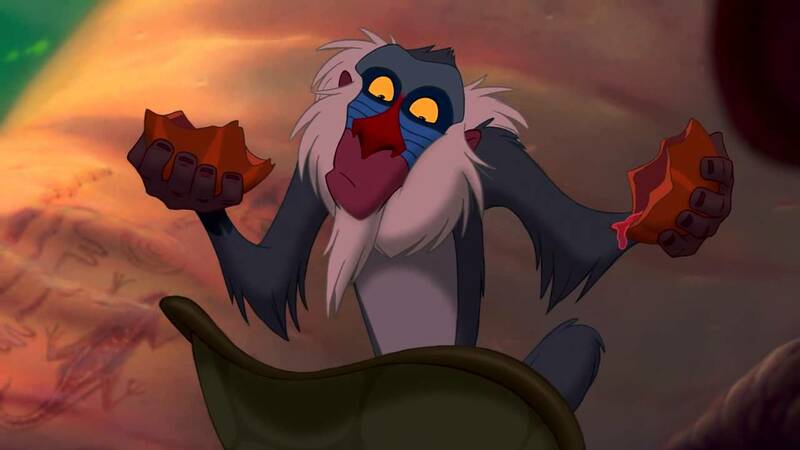 Favorite Moment: Rafiki’s lesson to Simba about running from or learning from the past. Remember wanting to find your own magic lamp in a Cave of Wonders, so that you could have a friend like Genie? Me too. 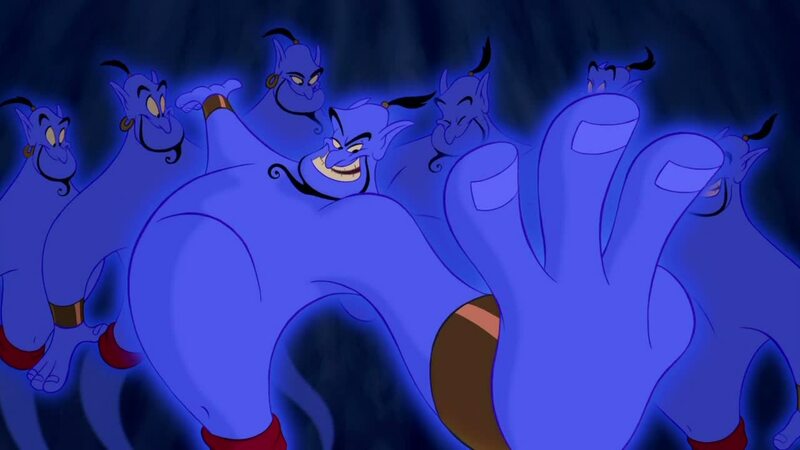 Genie is one of the most animated and boisterous supporting characters in all of Disney. He transformed Aladdin into “Prince Ali,” and is responsible for the set up between Aladdin and Jasmine. He’s loving, loyal and loud, but beneath all of that, he only really desires his freedom. Favorite Moment: The “itty bitty living space” moment and the “Never Had a Friend Like Me” musical number. 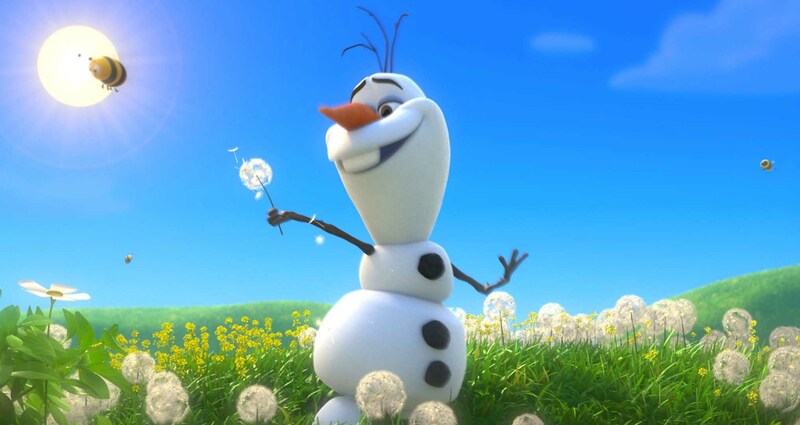 Some people are worth melting for – so are some of Disney’s supporting characters, especially Olaf, the snowman who longs to “do whatever snow does in summer!” First introduced as a lifeless snowman while Elsa and Anna are kids, Olaf is later brought to life and becomes one of the most animated and flamboyant characters in recent Disney memory. His many adorable moments, quotes and “In Summer” number made him relatable, lovable and instantly classic and memorable. Favorite Moment: When he tells Anna that some people are worth melting for, or when he’s admiring his nose! Ray, the Cajun firefly, is the only supporting character featured on the list that dies, while battling “The Shadow Man,” Dr. Facilier! Before Ray meets his tragic end though, he wows the audience with the “Gonna Take You There” number in the bayou and his story of Evangeline. Ray (alongside ‘gator Louis) adds a great deal of soul, humor and folklore to The Princess and the Frog. His bittersweet end sees him finally be united with Evangeline, as a star beside her. Note: Ray’s funeral was ranked as my #10 Animated “Awww” Moment. Who doesn’t love Sebastian? 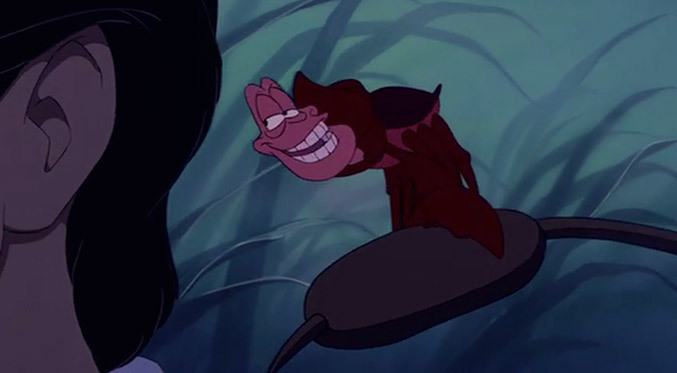 Sure, he’s a little crabby, but it’s because nobody listens to him, especially Ariel! From start to finish, the wee crustacean transforms from a hard-shell crab into a softy! His calypso-reggae infused songs are brought to life by voice actor Samuel E. Wright and endure as some of the most memorable and timeless. Recall “Under the Sea” or “Kiss the Girl?” What’s great about Sebastian is that he’s always got everyone else’s best interests in mind – and he works tirelessly to help in any way possible. Aww. 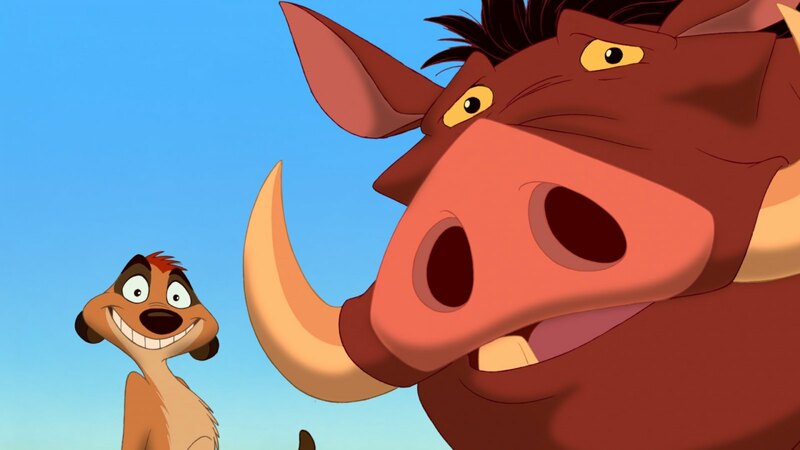 Favorite Moment: When Pumbaa is stuffed and Timon dresses in drag to do the hula. “But of course!” The French candelabra Lumière tops the list. Named after pioneering filmmakers, The Lumière Brothers, and fashioned with Pepé Le Pew in mind, Lumière is the quintessential supporting character. He’s witty, charming, free-spirited and romantic – not to mention, one of the driving forces behind Belle and Beast’s romance. His resistance to Cogsworth’s traditional attitude, hospitality toward Belle, and fiery romance with Featherduster provide plenty of memorable moments or musical numbers, like “Be Our Guest!” He is the perfect host for entertaining and embodies all that one might imagine about France. 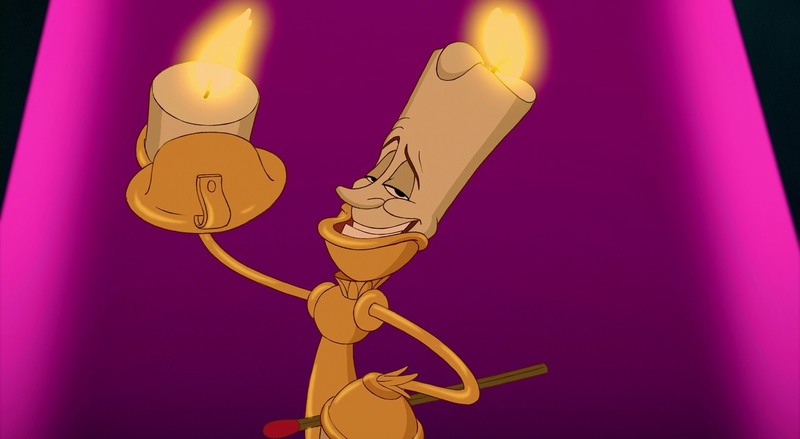 Note: Lumière has been my favorite supporting Disney character since I was a child. I oftentimes reference Beauty and the Beast, Lumière and Pepé Le Pew when discussing why I studied French, or explaining why I love the idea of Parisian life. Favorite Moment: The “Be Our Guest” sequence and his on-screen moment with Featherduster. That’s the countdown! How did you like the list? Are there moments or quotes from these characters that you liked but don’t see here? Share it in the comments section below. Are your favorite supporting characters missing from the list? Make the case for them below too! Thanks for reading.